Reviews of the Pentax K-x from around the web. Pentax has been a strong name in the burgeoning budget DSLR market for a long time. The Pentax K-m, for instance, is a surprisingly good 10.2MP camera that can be had for as little as £330. 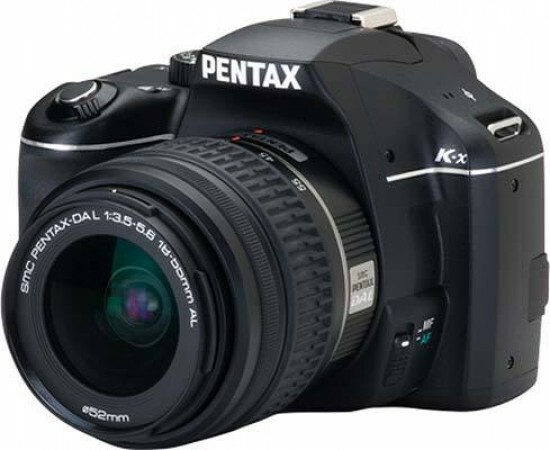 The £599 Pentax K-x continues in a similar vein. Indeed, hold both cameras at the same time and it's only the branding that allows you to tell them apart. I approach each new camera with a degree of skepticism. Unlike many out there, I’m not as easily swayed by all the media hype and promotional gobbledygook. I’m from Brooklyn and we need to see that something actually works. So when the Pentax K-x arrived, I looked at it, pleased that they sent me the “white” version, only because it reminded me of the Imperial Storm Troopers from Star Wars (would have been a great fit). I unpacked everything, mated the lens to the K-x body, installed the lithium batteries that came in the box, then added my own SDHC card—none included (also takes standard SD—but why hamper the machine out of the gate!). And I started to play with it.